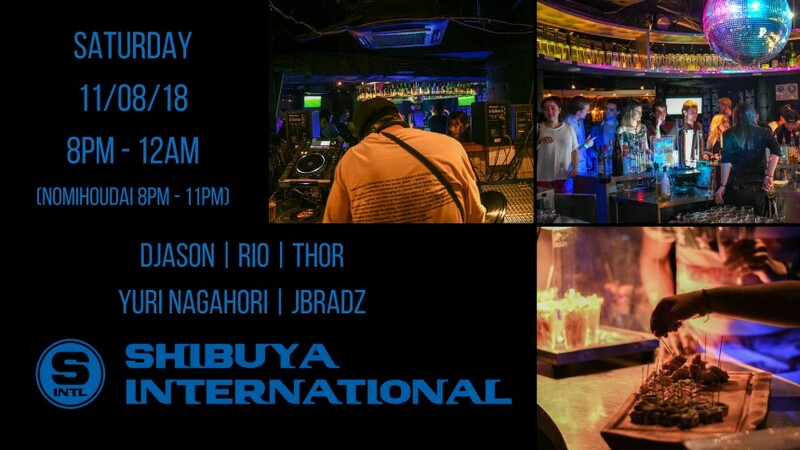 NEW INTERNATIONAL PARTY IN SHIBUYA! Enjoy the best parts of the international parties in Tokyo you know and love such as meeting new people in a cool atmosphere, with a fresh new spin! • A gracious Nomihoudai (All-You-Can-Drink) deal that includes Beer, Wine, Shochu, Sake, Whiskey, Liqueur, Soft Drinks and Cocktails etc. in big sized cups with little to no waiting time! • A finger food assortment of unique tapas that are hard to find elsewhere! • A charge system that lets you choose whether you would like to save a few extra dollars or drink as much you can! • Some of the funnest DJs and track selectors from Japan and overseas to perfect the atmosphere for meeting some cool new people! Vibes all around! Click attending on the FB event and get a ¥500 discount!